Do you want clear reception for your TV? Give our team of professionals a call today. 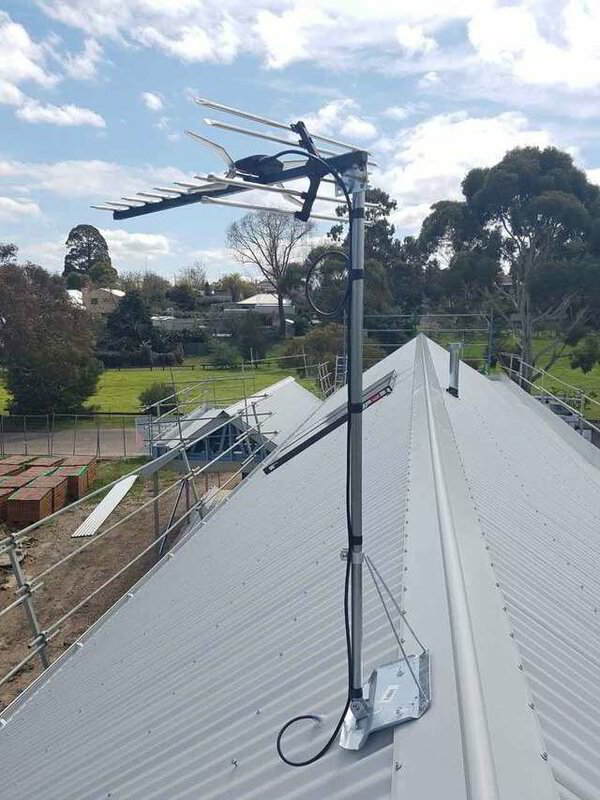 We supply and install antennas in Ballarat and the surrounding areas including; Alfredton, Canadian Sebastopol, Delacombe, Lucas, Winter Valley, Wendouree, Creswick, Ballarat North, Ballarat East, Newington, Mount Clear, Mount Helen, Mount Pleasant, Buninyong, Napoleons, Ballan, Gordon and Newlyn. Receptions issues can be caused by a number of things and may not necessarily mean getting a new antenna. Our specialists can test and identify the problem using the latest testing equipment before recommending a solution to solve the problem. We also supply and install distribution amplifiers and masthead amplifiers. We are your one-stop-shop for everything antenna related. If you need reception for any device or system, give us a call and we will help you find the best solution. If you already have TV reception in your home coming through an old antenna, it may be time for an upgrade. Our team can help you get more channels, a higher definition picture and a stronger signal during cloudy or stormy weather. When your home experiences problems with digital TV reception, it is rare that only one part or piece is causing the problem. We can assess and repair all the various parts to your TV system and repair everything quickly onsite.